The Tax Working Group has flagged a broad “capital income tax” to include shares and a raft of other assets in its interim report released today. While it has yet to finalise the capital gains tax recommendations, the interim report maps out a wide range of assets that could be caught in proposed reforms including “shares in companies and other equity interests”. The report also lays out a number of changes to the retirement savings regime such as dropping the tax on employer KiwiSaver contributions and lower the portfolio investment entity (PIE) tax rate by 5 per cent across all levels below the top 28 per cent rate. As well, the TWG report says the government should consider “ways to simplify the determination of the PIE rates (which would apply to KiwiSaver)”. 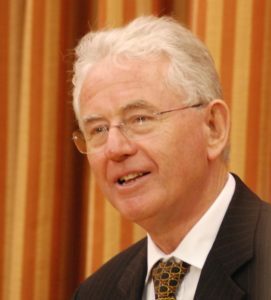 In a statement, Sir Michael Cullen, TWG chair said: “Extending the taxation of capital income will have many benefits. “It will improve the fairness and integrity of the tax system; it will improve the sustainability of the revenue base; and it will level the playing field between different types of investments. Yet the options for extending capital income taxation can be complex, resulting in higher compliance and administration costs.